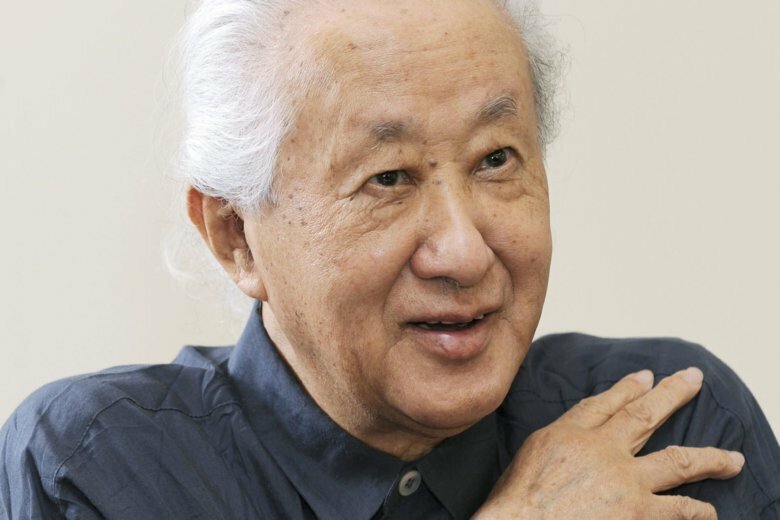 TOKYO (AP) — Japanese architect Arata Isozaki, credited with bringing together the East and West in his innovative designs, has been awarded this year’s Pritzker Architecture Prize, known internationally as the highest honor in the field. Isozaki, 87, was one of the first Japanese architects to build outside the country, and has been praised over his five-decade career for making a statement that transcends national boundaries through buildings that are simple in design, but also appear to redefine the feelings of space in people’s surroundings. “In a global world, architecture needs that communication,” he said. Isozaki’s first international commission was the Museum of Contemporary Art in Los Angeles, which he worked on from 1981 through 1986. Isozaki said he was inspired by the red sandstone buildings of India. Born on Japan’s southwestern island of Kyushu, Isozaki says the destruction of World War II left a lasting impression while he was growing up, and helped him become an architect. “I grew up on ground zero,” he said, referring to the atomic bombing of Hiroshima, which lies across the shore from his hometown of Oita, which burned down in the war. Among Isozaki’s works are the Palau Sant Jordi in Barcelona for the 1992 Olympics, the Shenzen Cultural Center in China and the Allianz Tower in Milan. His buildings are also found all over Japan, including museums and community centers in Kyushu, Osaka and Tokyo. The 2019 Jury Citation said Isozaki’s architecture defied categorization as it was always evolving. “Possessing a profound knowledge of architectural history and theory, and embracing the avant-garde, he never merely replicated the status quo,” it said. Isozaki is now based in Japan’s southwestern region of Okinawa but also runs offices in China, Italy and Spain. He has taught at Columbia University, Harvard and Yale. His works also include philosophy, visual art, film and theater.